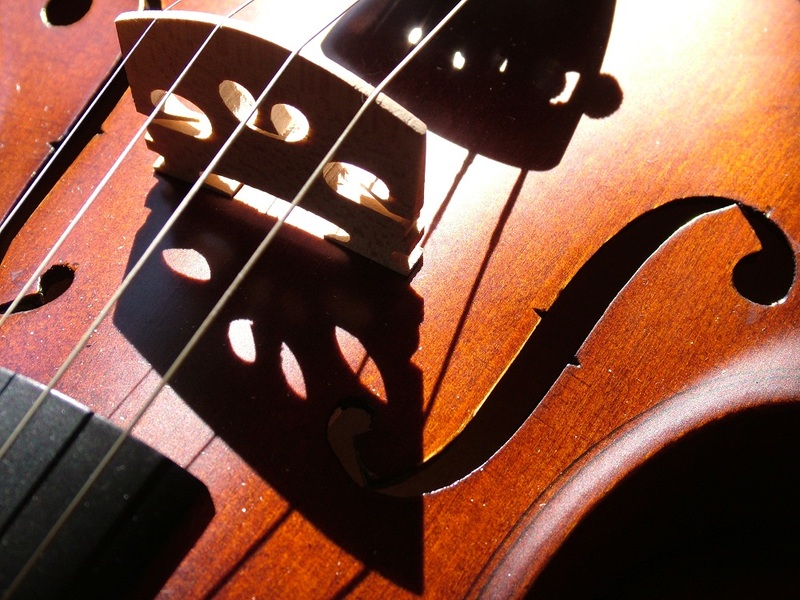 The viola is an interesting instrument, whose role unfortunately is often misunderstood by the layman (and for some time in the past also among the musicians) – partly because of its (sort of) intermediate position between the violin and the cello in the bowed instruments family. But the great composers, of the past and of our time, has always been well aware of its meaning. It suffices to remember that Johann Sebastian Bach liked to play the viola in ensemble music: his deep concerns for the architectural building of music led him unerringly to this instrument, «as from this central location he could best observe the unfolding of the whole work», as Karl Geiringer observed. We recently had a few occasions to hear a wonderful instrument, the «viola Maggini» played by Danilo Rossi, and to appreciate the enchanting qualities of the viola, when skillfully mastered by a great musician. The «viola Maggini» takes her name from Giovanni Paolo Maggini (1580-1632), who created it: it is, then, a four centuries old instrument, that at the end of the nineteenth century was owned by Count Antonio Freschi Cucanea di Cordovado (Padova), a musical instruments collector but also a musician, pupil of a well-known violin player, Antonio Bazzini. His nephew, Nicoletta Freschi in Piccolomini, gave the viola to Dino Asciolla (1920-1994), one of the most important performers of the twentieth century, as a soloist and as a member of many ensambles (among them, the unforgotten «Quartetto italiano») and dedicated teacher in many public institutions, in italy and abroad. Valeria Mariconda Asciolla then gave the instrument to Danilo Rossi, according to the will of her husband. Danilo has a strong and affectionate relationship with this viola, whose beauty, as a craftsmanship’s masterwork and as a musical instruments, is still growing every year. You cannot play the viola as if it were a bigger violin – emphasizes Rossi: this instrument has its own personality and has to be played according to its own technique, in particular for the mastering of the bow. In 1752 Johann Joachim Quantz stated that «the viola was of little consequence in music and that its players lacked ability» – from there stems the bias against the viola, at best considered as a second choice for untalented violinists (but don’t forget: Paganini was also a great viola player: for him Berlioz wrote his Harold in Italy). From the instruments’ maker point of view, it is also a difficult object to build, and that can at least partly explain its unfortunate record, against the long and successful history of the violin; it certainly explains why there were many different designs, with different body lengths (the classical from 37,5 to 39,5 cm, or 14,75 to 15,25 in; more recently from 40 to 43 cm, 15,75 to 17 in). A handful of great players battled, in the twentieth century, and were able to conquer again a central position for the viola: Roger Primrose and Lionel Tertis, Piero Farulli, Dino Asciolla, Bruno Giuranna, Yuri Bashmet reevaluated and further developed the specific technique of the instrument, and brought it again to the foreground, supported by many composers, who greatly expanded and improved the repertoire. Italy, which had first developed the modern forms of the stringed instruments, remained their center of production. In consequence of an unbroken workshop tradition, and favored by a lively demand – especially from France – certain towns of Italy and the neighboring Tirol achieved supremacy in this field. Although stringed instruments of every type were made, the main object of the master-craftsmen was the improvement and refinement of the «queen of instrument», the violin, The first important center of violin-making was Brescia; its oldes eminent master was Gasparo da Salò (1540-1609). The very few examples of his work that have come down to us are still somewhat old-fashioned in detail, but they none the less show the typical shape, which was later to become the norm. Gasparo’s pupil was Giovanni Paolo Maggini, in whose person the Brescia school reached its zenith. Following at first in the footsteps of his master, he eventually made his own richly ornamented model, notable for its low ribs and lightly waisted middle bout. Maggini’s instruments are distinguished by a mild, yet sonorous tone-quality. The same general observations can be made for their violas: unfortunately, very few instruments of the Brescia’s school remain today, but they are witnesses of the high quality of the production of those workshops, decades before the leadership in this field moved from Brescia to Cremona and to the celebrated families of the Amatis and Stradivaris. November 18 at the Teatro alla Scala we will have a chance to appreciate the viola Maggini and the powerful technique (but also the musical depth of interpretation) of its owner, Danilo Rossi, performing with Stefano Bezziccheri the two Brahms’s Sonatas for viola and piano. But if you cannot come to Milan for that occasion, don’t miss the new CD/DVD of the duo, where it will be possible to listen to that wonderful instrument and see it in the foreground. 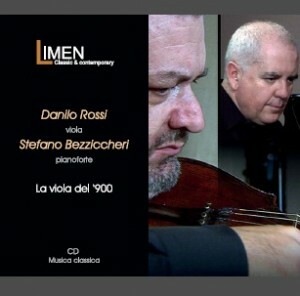 On the DVD there is also an interesting interview I made to Rossi and Bezzicheri; another one, with Danilo Rossi, will be soon on air on Limenmusic.com’s Channel 1, where Rossi describes at length his relationship with the great viola players and with his instrument.